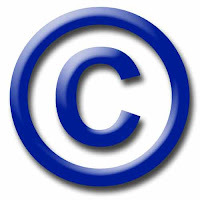 I know a lot of us added copyright to our blogs through Bloggiesta this weekend. I had trouble making the copyright symbol come up on mine, but Bitsy from Fabula send me the following website which has the codes for special symbols. So, thank you Bitsy (and, by the way, nice new layout on your blog)!